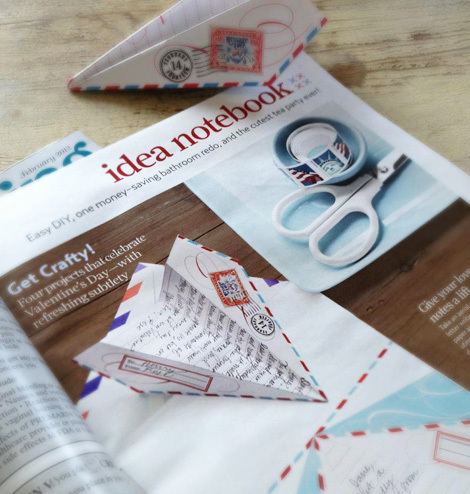 I am in love with these cute paper airplane valentines that Cathe from Just Something I Made created. Even better is she created this free printable for Country Living. 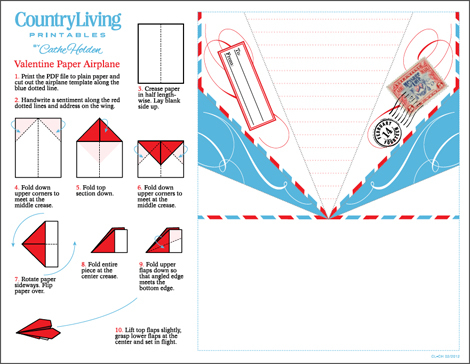 So you can get a free printable paper airplane valentine to give to your valentine this year. I think I might print out one for each of the kids in Lou La's class, have them all write a note to their teacher, and then we can sail them across the room to her during our Valentine's Day party. That really would be fun for the kids to do at the party. I printed out three...to send to my 3 boys!